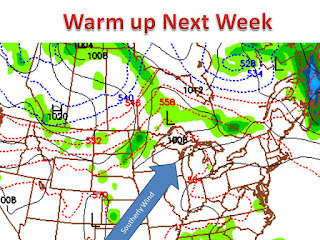 A large and lengthy warm up is shaping up for next week in the midwest. 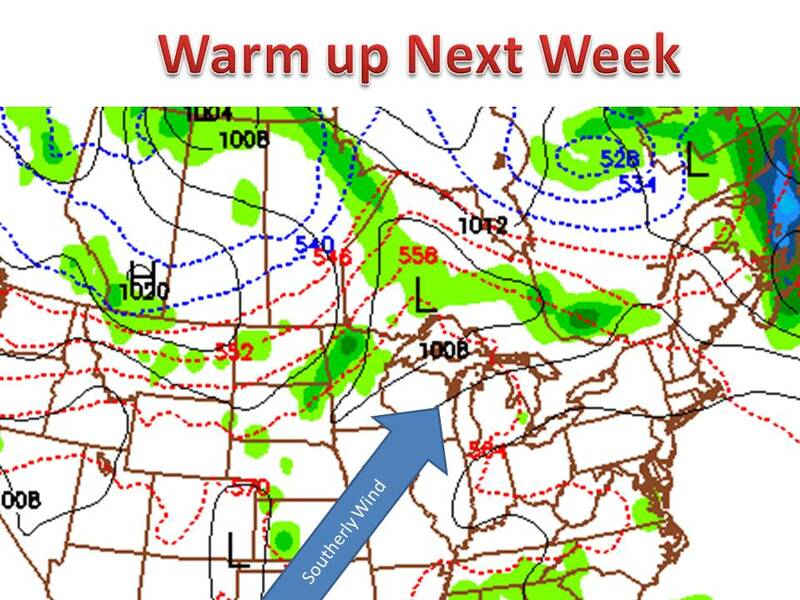 Temperatures are already moderating this week, but the main slew of warm air will move into the midwest during the middle of next week. Temperature will run 10-20 degrees above average in most places, assuming it is sunny that day.